Overcoming Security Vulnerabilities: Boston Remote Monitoring – Synivate, Inc.
You might be surprised to learn that even some of the biggest companies face tech security issues that leave them vulnerable to attack. It is critical to ensure that you are working with reputable and experienced Greater Boston security solutions providers, regardless of the size of your business. Today’s businesses all rely heavily on computer networks to some degree, which is why it is crucial to have a professional IT department working on your behalf. Remote monitoring management services through Synivate can help companies to identify potential issues and develop solutions designed to prevent attacks. Cloud computing services can be used to ensure data security for equipment, providing businesses with multiple layers of protection. However, there is one area that many organizations have difficulty overcoming that could negatively impact the security of physical data and equipment on-site. Building automation systems are subject to vulnerabilities just like any other computer, yet they are often not considered or tested in the same way that other systems would be. Smart building security is something that is urgently needed to protect businesses from other methods of attack. Researchers at the enterprise security firm ForeScout recently published a whitepaper that details some vulnerabilities with smart building security, along with some proposed solutions for companies at risk. They encourage security leaders to address these vulnerabilities found in building automation systems as quickly as possible to prevent remote attacks and other exploits. After performing tests on systems from an unnamed vendor, they identified and subsequently patched the vulnerability issues that were discovered. However, the engineers at ForeScout were quick to note that because the vulnerabilities were so easy to find and fix, that meant that they were just as easy to find and exploit. What does this mean for you and your Greater Boston security solutions? The number one takeaway from this study is that it is imperative to work with a reliable remote monitoring management company that will test every single level of your smart building security for flaws. You do not want to be vulnerable in any way, whether that means digitally with your company’s data on cloud computing services or physically, with your company’s servers (and ultimately your data) exposed due to building security issues. Many of the problems identified in the ForeScout were considered to be high severity vulnerabilities that could potentially affect physical access or security issues with Industry Internet of Things (IIoT) devices. While smart building security might not be a concern for your business, there are other areas of security that definitely should be. For example, one of the most serious threats to today’s businesses is a cyber attack. Are you properly prepared to overcome issues that stem from phishing or ransomware attacks? Employee education is essential, but remote monitoring management services and other Greater Boston security solutions can be employed that will protect you in the event of an attack. Beyond security measures, layering in backup solutions that will provide you with business continuity to recover quickly from an attack, can all be used to work in your favor. 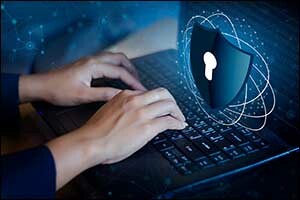 Stolen laptops and company-connected mobile devices, corrupted files that include essential accounting files of customer data, and issues with employees checking personal email or clicking on dangerous links are some of the most common ways that cyber attacks occur. In addition to cyber attacks, there are other reasons to have a comprehensive disaster recovery plan. Real life disasters, such as fires and floods, serious electrical storms, power outages, and winter snow and ice storms are all responsible for professional IT disasters across many different industries. Our team can help you create a plan to prevent cyber attacks, education your team, and prepare to get back to business quickly after a loss. Remote monitoring management, cloud computing services, and other Greater Boston security solutions for your network and business at the enterprise level is just the beginning. It is important for today’s businesses to stay on top of their unique needs and prepare for potential disasters. If you would like to get a FREE IT Assessment to determine if Synivate’s powerful, workable solutions would be beneficial to your company’s technology and communications gaps, visit our website or call 617-517-0704 and speak with one of our technicians.